Food 4 Less Online Shopping is Powered by Rosie, our online shopping partner. To get started click here to create a free account on Rosie, then start shopping our complete inventory for all your favorite items. 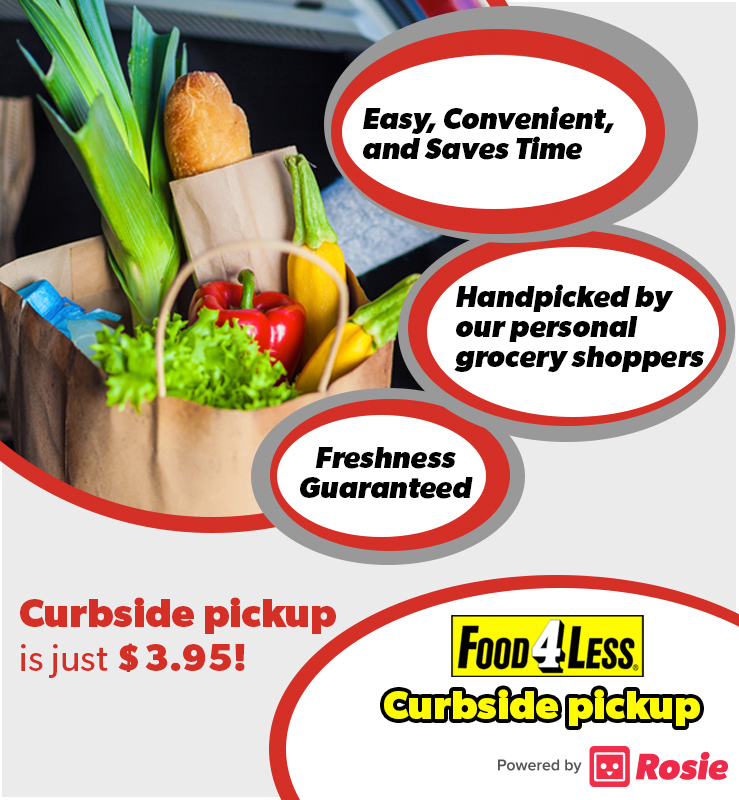 At checkout, choose from available days and times for convenient curbside pickup. You can also download the Rosie app right to your iOS or Android device! available pick-up hours are 9 a.m. - 8 p.m.